Mount Allison has been listed in one of the largest data leaks in history. Known as the Paradise Papers, the leak reveals the offshore activities of some of the world’s wealthiest companies and individuals. Over 3,000 Canadian names, including former prime ministers and the Montreal Canadiens, have been identified with connections to firms in low-tax and tax-free jurisdictions such as Bermuda and the Cayman Islands. Mt. A and the University of Toronto are currently the only Canadian educational institutions included in the leaked documents. Over 100 other universities and colleges, mainly American, were added to the Offshore Leaks Database by the International Consortium of Investigative Journalists on Nov. 17. The educational institutions were found in the client database of law firm Appleby, a prestigious firm that has been a source for most cases in the Paradise Papers. Mt. A is listed as a beneficiary of two entities in the Cayman Islands, the Alice I. Campbell Settlement and the James G. Campbell Trust. Both entities appear to be trusts and were settled by individuals of the same names almost 50 years ago in 1969. A trust is a fiduciary arrangement involving a settlor who transfers assets to a third party, usually a law firm. The trustee acts on behalf of a beneficiary and ensures the beneficiary receives the trust’s benefits over time. Sometimes beneficiaries are not made aware of being named in a trust because they have not been notified by the settlor or trustee. The entities connected to Mt. A were registered with trustee Appleby Trust (Cayman) Ltd, the Cayman Islands office of Appleby, that serves high net worth individuals. Mt. A is among five other beneficiaries in the Settlement and five others in the Trust. The Offshore Data Leaks entry does not give details of what kind of holdings are inside the entities or how much is held by them. Robert Inglis, Mt. A’s vice-president of finance and administration, reported that the University has no record of having received money from either of the trusts. Trustees are obligated to notify beneficiaries if they will be receiving income from a trust. Since Mt. A has not heard from Appleby, it is possible that no assets have been placed in the trusts or that the terms of the trust have not yet begun. Why the trust was registered in the Cayman Islands is unclear. Mt. A’s relationship to its offshore trusts does not resemble the offshore business relationships of the other universities listed in the Offshore Leaks Database. American universities such as Dartmouth, Columbia and Princeton are listed as shareholders, meaning that they have investments in offshore firms. Universities, particularly in the U.S., are increasingly investing in offshore hedge funds and private equity funds to grow their endowment and pension funds further. Riskier and potentially more lucrative than investments in mutual funds, these specialized investments contradict the charitable tax-exempt mission of a university and open it up to taxable consequences. “In order to keep their tax-exempt eligibility, they’re not allowed to have what’s called ‘unrelated business income,’ ” said Ben Pershick, the head of hedge fund services at global advisory firm Maitland. Under U.S. law, unrelated business taxable income (UBTI) refers to investment earnings of charities that are considered for profit. “The only way that these large foundations and pension funds can invest in hedge funds is actually done best offshore through ‘blocker’ corporations,” said Pershick, who has worked at Maitland’s Cayman office for eight years. “Blocker” corporations are identified by U.S. federal income tax law as corporations taxed separately from their owners. “What the ‘blocker’ corporation does is it stops the trail of income,” allowing universities to avoid paying taxes on the capital gains of their offshore investments. U of T is currently the only Canadian educational institution identified with offshore investments in the Paradise Papers. It became a shareholder of WLR IV Loans AIV Feeder (Cayman), Ltd., a company founded by U.S. Secretary of Commerce Wilbur Ross, 10 years ago. In an article published by the Varsity, U of T economics professor Michael Smart stated that the University invests offshore not to avoid taxes, but because the investment firms of its endowment and pension funds receive tax advantages in tax havens. He also said that offshore investment in general has the added benefit of secrecy, which can hide inappropriate attempts at tax avoidance and obscure controversial holdings. U of T administration released a statement that said its annual pension and endowment statements do not reflect its investments in the Cayman Islands or Malta, prompting concerns over the transparency of the University’s investment strategies. Mt. 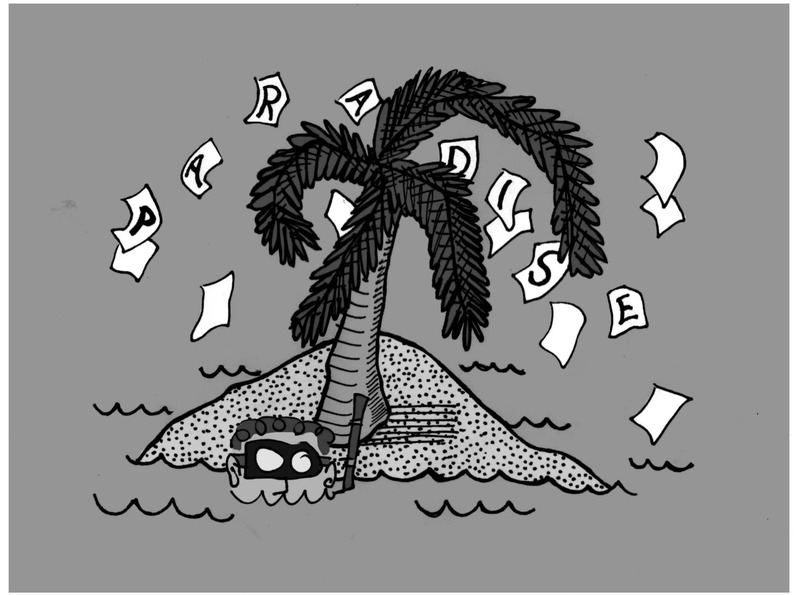 A’s transparency regarding its investment holdings has also been a subject of scrutiny from students and faculty, but its name in the Paradise Papers is not connected to its investments. “There’s the problem of tax avoidance and evasion, [but] that’s not [a problem at] Mt. A so much as it is a wider problem,” said Mt. A economics professor Stephen Law. 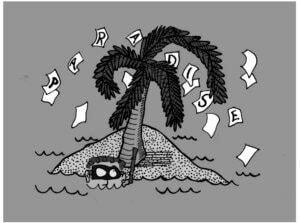 The Paradise Papers taps into growing concerns over rising income inequality and the structures that permit the gap to widen and persist. Although legal, tax avoidance redistributes financial support that wealthy individuals might otherwise put into the public sector. “There’s a wider problem that wealthy individuals who have been under-taxed relative to their level of income, their reliance on public services and public infrastructure have influenced the laws that then permit them to legally move income into places where it is untaxed or less taxed,” Law said. The revelation of Mt. A’s offshore trusts came after the Board of Regents agreed to make public the stock and bond holdings of the University’s pooled funds earlier this year on April 26. Accessible on the Mt. A website since this fall, the 71-page Endowment Fund Holdings Report lists the underlying equity and fixed income holdings of the University’s 150+ million dollar endowment fund as at Dec. 2016. Details of Mt. A’s trusts can be viewed online on the Offshore Leaks Database. Mirelle Naud is the business and transitions manager and has worked previously for the Argosy as an arts and culture editor and editor-in-chief. She is in her fifth-year completing a double degree in English and biology.